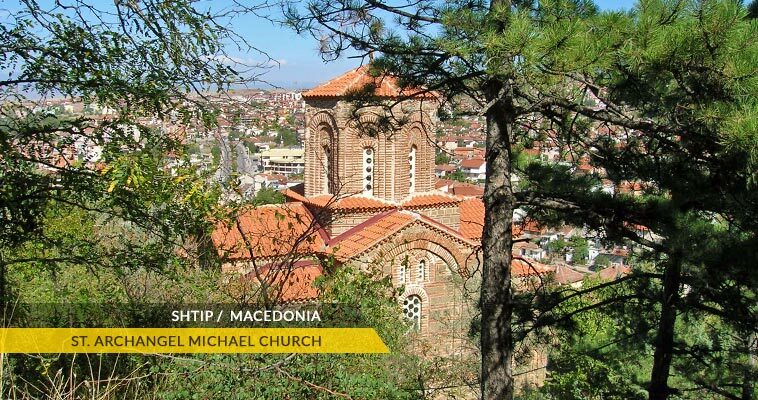 Stip is a major is the largest city in the eastern part of Macedonia. Stip is seat of Stip municipality. According to the 2002 census, Stip had a population of 40,016. 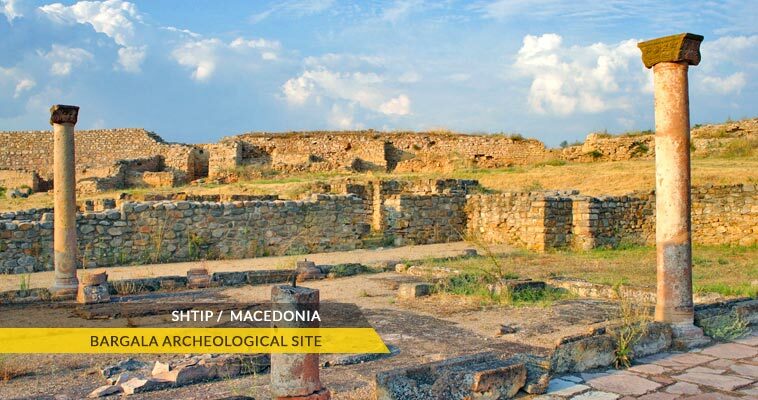 Located at the intersection of the Lakavica, Ovce Pole, and Kocani plains, it exists as a settlement for at least 2000 years. Two rivers pass through Stip, Bregalnica which is the second largest in Republic of Macedonia and Otinja which bisects the city center and around which the Quay of Otinja is built. Stip lies at an altitude of 300 meters above the sea level. The Macedonian M-5 road passes by Stip and connects Stip with the E-75 international motorway at Veles, which is 40 km away. Skopje is 86 km away (on the north-west). 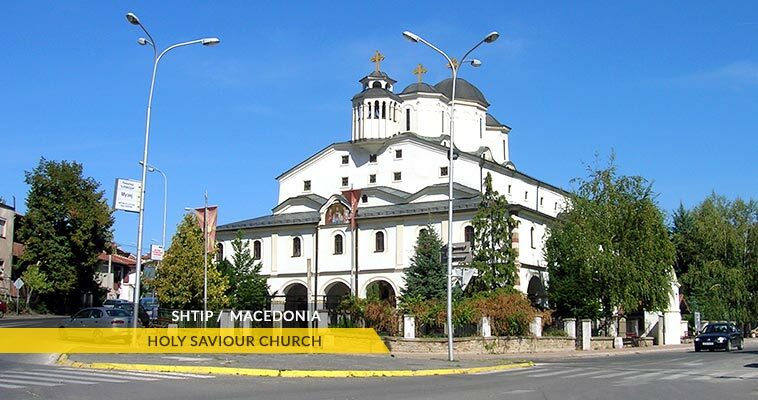 Stip is a significant cultural, educational, and economic center in eastern Macedonia. Stip is the regional center as well as the center of Macedonia's textile and fashion industry. 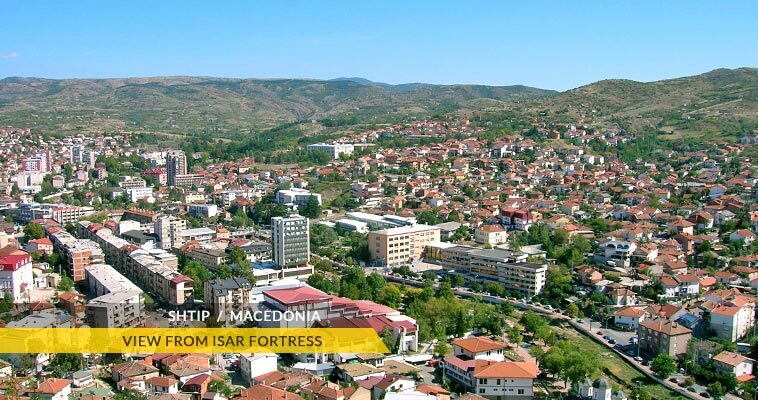 The hill Issar with it's early medieval fortress on top, dominates above Stip, and provides for the common reference as the city under the Issar. Stip boasts the largest festival of contemporary music in Republic of Macedonia called MakFest. It is held every November in the Cultural Center Aco Sopov for over two decades. The other large cultural event is the Stip Summer of Culture a month long festival held from July 1st to August 1st since 1987. The area surrounding Stip suffers from deforestation which contributes to the temperature extremes experienced, summers being hot and dry with days above 40°C (104°F) not being uncommon, and winters being cold and snowy (but short), with winter minimums going to −10°C (14.0°F).